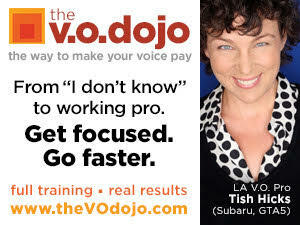 (VOXtra) - What does the promo producer or director think of your audition - really? Will you get the job? Hey - why didn't you? Harry Dunn knows. He's a network promo producer who also teaches voice-over from the point-of-view of hearing you from the "other side of the glass." 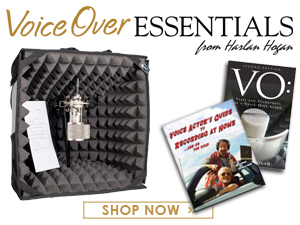 And he'll discuss the VO promo biz and take your questions tonight on the Voice Over Body Shop (VOBS) webcast (starting at 6 pm PT / 9 pm ET on vobs.tv). "Harry knows the ins and outs of what works and what fails with self-directed auditions," says Dan Lenard (the Home Studio Master), who co-hosts the webcast with George Whittam (VO audio tech guru). "Learning how to do it by yourself is a challenge we all face, and tonight Harry will share how to make the most of those auditions." You can send questions for Harry and the guys now to theguys@vobs.tv. And they will answer questions posted in the live, interactive chatroom during the webcast.